Tony Williams, beat writer on the Giants and the Knicks for Metro New York paper joins us to talk about the NFL training camps opening. David Kay basketball editor for walterfootball.com joins us to talk about the NBA off season and college basketball. Paul Banks, editor of the SportsBank.com joins us to talk about the NFL and which training camp stories in which he is most interested. Samantha Bunten joins us to perform the autopsy of the Indians playoff hopes. Evan Weiner, sports writer for NewJerseyNewsroom.com joins us to talk about his most recent article Is high school football an endangered species? . 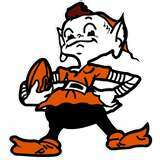 Tim Bielik beat writer on the Browns and Buckeyes from the Loraine Morning Journal joins us to talk about the upcoming seasons for both. Chris Rolling feature writer on the Bengals for the Bleacher Report joins us to talk about the Cincy draft and plans for 2012. 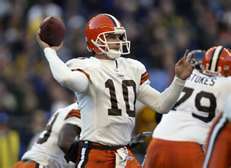 Samantha Bunten, co-host of http://www.blogtalkradio.com/fantasysidelineshow joins us to talk about the Browns draft and the Indians fast start to 2012. Tony Williams, Giants and Knicks beat writer for the Metro New York Paper joins us to talk about the NFC East draft and the Knicks playoff run. Dave Kay, basketball editor for waterfootball.com joins us to talk about the NBA Draft and the playoffs. Samantha Bunten feature writer for the Bleacher Report on the Browns and Indians joins us to talk about the Browns draft and Indians start to the season. NOTE: There will be no NNR show tomorrow. Join us again on Monday, May 7th for our regular schedule. Bill Smith is a former coach of several semi-pro teams, has officiated both football and basketball, done color on radio for college football and basketball and has scouted talent. He edits https://fryingpansports.com and was a senior writer for http://NFLDraftDog.com. He has also published several novels on and a non-fiction work at http://www.merriam-press.com/. We continue to tour of the NFL. Bill Robins feature writer for the Chiefs joins us to discuss the team’s plans for 2012. Tim Bielik Browns and Ohio State beat writer for the Loraine Morning Journal joins us to talk about spring football and the end of the Bucks basketball season. Dave Kay basketball writer for waterfootball.com talks about his latest NBA Mock Draft.